When SPRO released the original RkCrawler crankbait, I had an opportunity to test it on some highland reservoirs and it was one of the most impressive crankbaits I had ever tried. The only downside, however, was that the 9 to 14-foot depth range it covered didn't really fit my home lakes and my shallower fishing style. Thankfully, its little brother, the SPRO RkCrawler MD 55 has arrived and it is going to be a big player throughout the country. It's designed to specifically target the 4 to 8-foot depth range, so I've had a lot of time to test it throughout the past several months. In simple terms, I'm going to order a lot more of them. 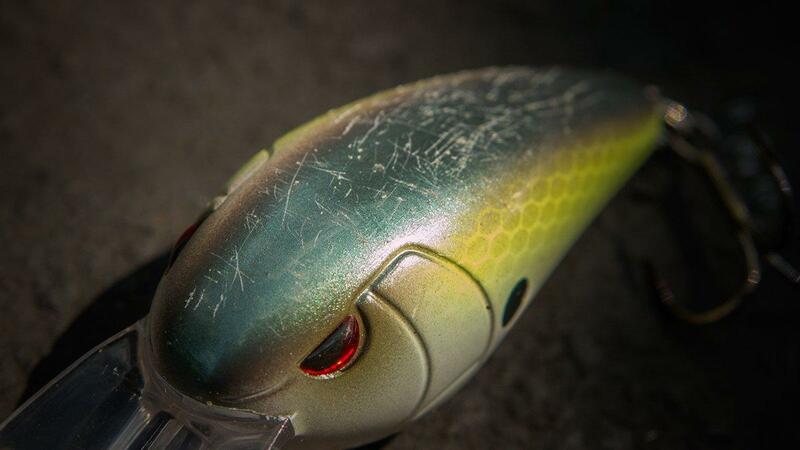 I'll take you through the most noteworthy characteristics of this high-end crankbait. 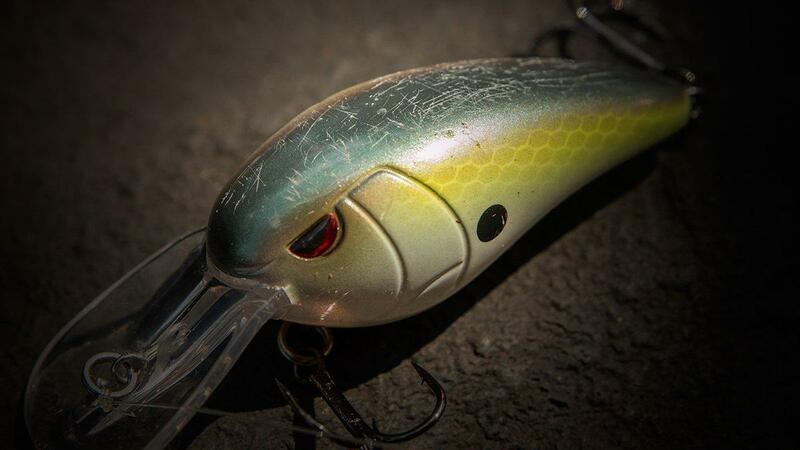 The SPRO RkCrawler MD 55 has proven to be a really interesting crankbait throughout my testing. It has a fairly pronounced tail kick as you retrieve it through the water column, but the very subtle rattle chamber doesn't seem to overwhelm fish. It produces a quiet "thud" sound and seems to work quite well in both clear and stained water conditions. As the tail whips back and forth, the head of the crankbait tends to hunt several inches to each side of the center line. Most impressive, however, is its ability to always return to center regardless of your retrieve speed. 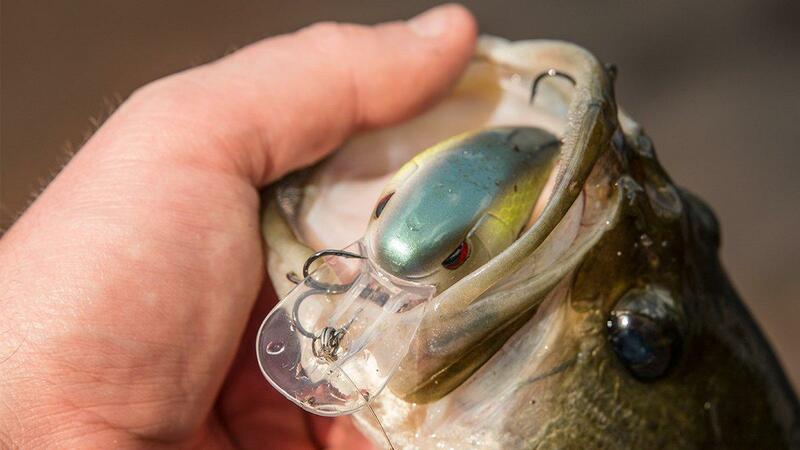 You're able to burn or crawl this crankbait over the bottom and it won't blow out to the side or lose its track. I've also been thoroughly impressed by how well this lure deflects off of hard cover. As the name implies, it's great for cranking pea gravel banks and large chunk rock, but it's also surprisingly snag-proof when targeting laydowns and stump rows. It has the deflection qualities similar to many squarebills and you'll rarely get snagged in any cover. It's no secret that riprap banks such as bridges and causeways hold bass throughout the year; anytime you drive over a lake, you'll see bass anglers targeting these chunk-rock areas. Because these areas stand out so much and receive immense pressure, I've always tried to use something a little different than everyone else. I think the SPRO RkCrawler MD 55 will be one of the deadliest riprap crankbaits on the market, and I don't say that lightly. Measuring 2.17 inches and weighing 1/2-ounce, you can make incredibly long casts with it and cover large stretches of riprap efficiently. As I mentioned earlier, it also avoids snags so you won't find yourself trying to keep your boat off the rocks while retrieving your snagged lure. I'd be willing to bet that the large majority of anglers fish riprap with some sort of shallow squarebill while totally ignoring the "mid-depth" range. The RkCrawler MD 55 is going to allow anglers to target bass that everyone else's boats are sitting on top of. There will be some tournaments won with this lure fishing this pattern. When you remove the RkCrawler MD 55 from its package, there are absolutely zero modifications necessary. 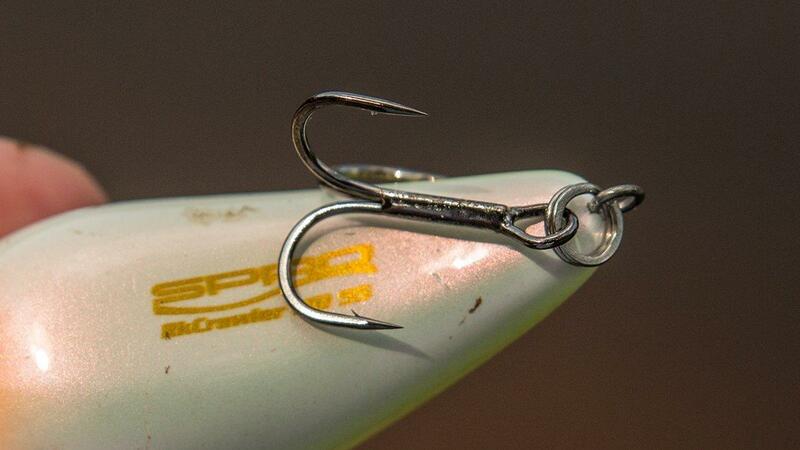 It comes standard with a set of Gamakatsu Round Bend Treble Hooks (I buy these hooks in bulk because I like them so much) and high-quality split rings. These hooks have always given me a very high landing percentage and they tend to stay sharp for an extended period of time. It's also worth noting that I haven't needed to tune one of these lures before fishing it. I've tinkered with 'em after bashing them against rocks for hours on end, but that's about it. Increasing or decreasing your line diameter can have major affects on many crankbaits, but I've found that it doesn't hamper the action of the RkCrawler MD 55 very much. If you want to touch the 8 or even the 9-foot zone on a long cast, I'd suggest using 12-pound fluorocarbon. If you'll be targeting shallower docks, riprap and laydowns, don't be afraid to rig it on 15-pound fluorocarbon. 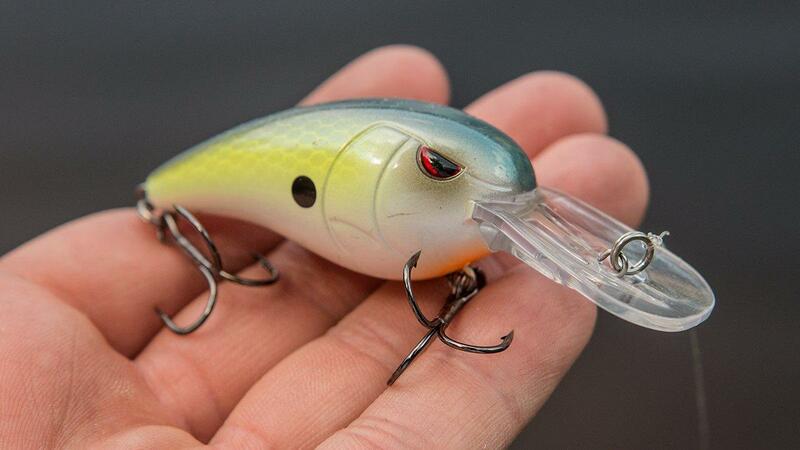 You'll still achieve that pronounced tail waggle and hunting action, but the larger diameter will allow you to fish the crankbait a bit shallower without sacrificing retrieve speed. This is going to be a major weapon for me this year and beyond. Although I've had great success in warmer water, I can't help but salivate when I think about the damage this plug will do in the winter and very early spring. As those bass start bulking up and the water temps drop, it's going to be nasty. I'll have a RkCrawler MD 55 rigged up for the rest of the year and if you try one, you'll be ordering more soon. The SPRO RkCrawler MD 55 is available at TackleWarehouse.com.